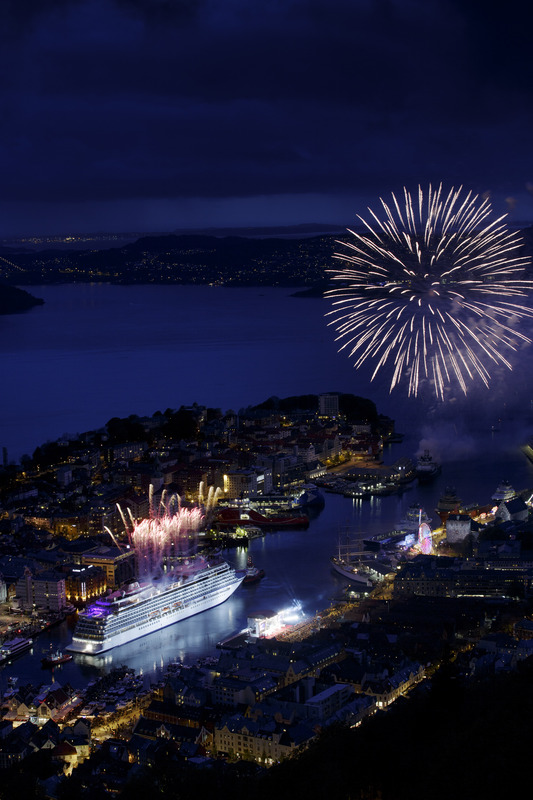 With fireworks ablaze Viking Ocean Cruises® yesterday christened its first ship, the 930-passenger Viking Star. 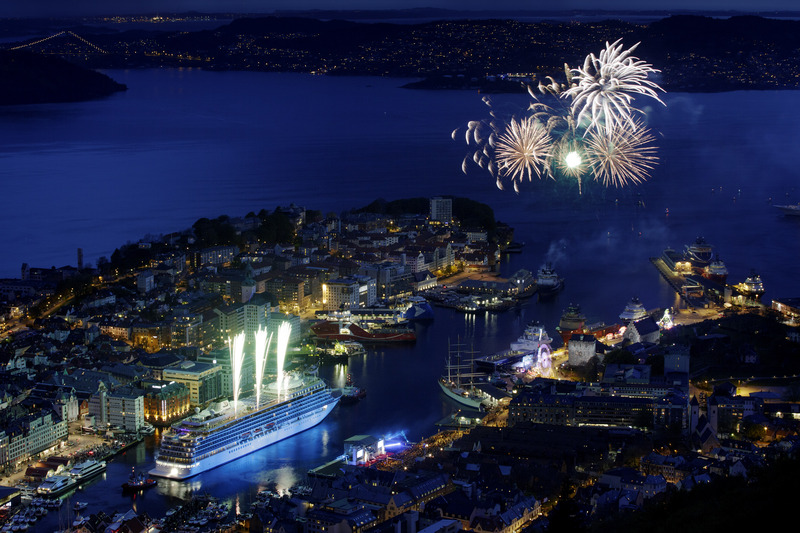 The ceremony – which took place in Bergen, Norway – occurred in conjunction with a citywide celebration for Norwegian Constitution Day and featured parades, parties and a public concert in the harbor that was attended by approximately 20,000 local residents and visitors. It also marked a significant milestone in the arrival of the travel industry’s first entirely new cruise line in a decade. “We believe the arrival of Viking Star signals a new era in destination-focused cruising, and I could not be more proud that she will call my favorite city in the world ‘home,’” said Torstein Hagen, Chairman of Viking Cruises.